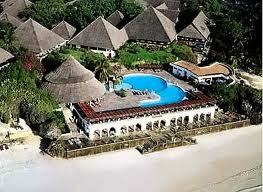 Pack your bags and head to the Beach for two glorious nights at one of Kenya's finest beaches‚ Diani. Check into the Leopard Beach & Spa Resort for some serious rest and relaxation as you enjoy long lazy walks on the beach or get spoilt in at the Uzuri Spa (extras to be paid direct). For activity there are water sports which include deep sea diving‚ or snorkeling with dolphins (extras to be paid direct). After two nights and a beautiful sun tan‚ prepare for a lifetime safari experience in the world renowned Masai Mara Game Reserve where game viewing is unrivalled. Arrive at AIRKENYA‚ Wilson Airport at 0830am for your 09.30am flight to Diani. Flying time to Diani is approximately 1hour 10 minutes. 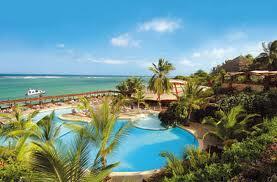 You will be met at the Ukunda Airport‚ Diani and transferred to Leopard Beach Resort. This will be your home for two nights. Your meal plan is half board this includes: breakfast and lunch or dinner. Speak to Guest Relations about your preferred meal plan. Plan your Spa treatments if this was your priority or enjoy the other activities that Leopard Beach Resort has to offer. You have a full day to enjoy as you please. Start with an early morning swim in the pool or warm waters of the Indian ocean before a sumptuous buffet breakfast. Visit the Adventure Centre for day excursions or simply spend your day as you please. If you're up early enjoy a dip in the pool or ocean‚ breakfast early and depart the hotel by 0930am for the 20 minute drive to the Airstrip. Check-in for your 1100am flight to Nairobi‚ Wilson Airport. Arrive at approximately 1210pm. .Check in for the14.00pm Mara flight. Airkenya will offer complementary lunch at the Dormans Coffee Shop located within the Airkenya Passenger Terminal and enjoy views of the aircraft taking off and landing. Fly into the Masai Mara. which is approximately 45 mintes flight. You will be met at the Mara Serena Airstrip a short distance from the Lodge. Let your driver guide know you would like to go out on a game drive as soon as possible! Dinner and overnight at the lodge. Game drives are glorious at day break. Freshly brewed coffee awaits you before you set off as early as 06.30am for your game drive. Animals are out in glorious splendor at this time of the day as they begin their foraging or hunt! Return to the Lodge for breakfast. For breakfast look forward to a traditional 'bush breakfast by the hippo pool. After breakfast‚ continue your game drive arriving back at the lodge in time for lunch. After lunch and relaxation‚ take an afternoon game drive in the Mara. When it comes to game-viewing‚ there is nowhere in Africa richer in wildlife or more eventful in encounters than the Masai Mara. A pristine wilderness of haunting beauty‚ it promises its visitors a profusion of wildlife‚ prolific bird life and the unprecedented opportunity of catching up with all the members of the 'Big Five in one morning. Enjoy your final game drive and breakfast before proceeding to the airstrip for your flight back to Nairobi. Upon arrival at Wilson Airport your safari ends. .
Airstrip transfers in the Mara. Lunch at Dorman's Airkenya terminal on arrival from Diani on Day 3.